We will come together to sit in ceremony with our sisters to heal the collective patriarchal shadow, and release fears and doubts that have kept us small, so we can reclaim our power and shine bright, beautiful and proud. Working directly on our hearts we will be clearing stale energetic blockages, healing ancient wounds, and working on ancestral ties to the mother and beyond. These women only ceremonies create a safe, nurturing space to go as deep as you allow yourself to. a yoga mat, pillow & blanket, or something comfortable to lie on. your own special cup/mug to drink cacao out of. we also suggest bringing a journal & pen for recording your experience. Tickets are not refundable, but are transferable to another person for the same ceremony if you cannot make it. 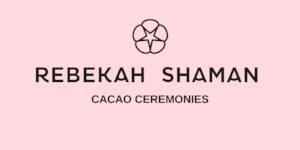 I have tried to keep the Cacao Ceremonies as affordable as possible but unfortunately, we have had to increase our ticket prices this year due to new circumstances. We have invested in a new venue, we are in the process of setting up a foundation to give back to our indigenous communities with the cacao profits, while continuing to work with the Asháninka to bring you the purest and best quality Cacao in the UK, ensuring a fair trade deal for all. We are also improving all our processes and everything we do, in order to make your experience with Cacao smooth, soft and gentle. We hope to see you all at many more ceremonies, to experience the magic and wisdom of the Plant Medicine teachers. The room itself is nice and warm, but please bring something with you to lie on; yoga mat, blanket etc. and a bit of padding for your comfort during ceremony.